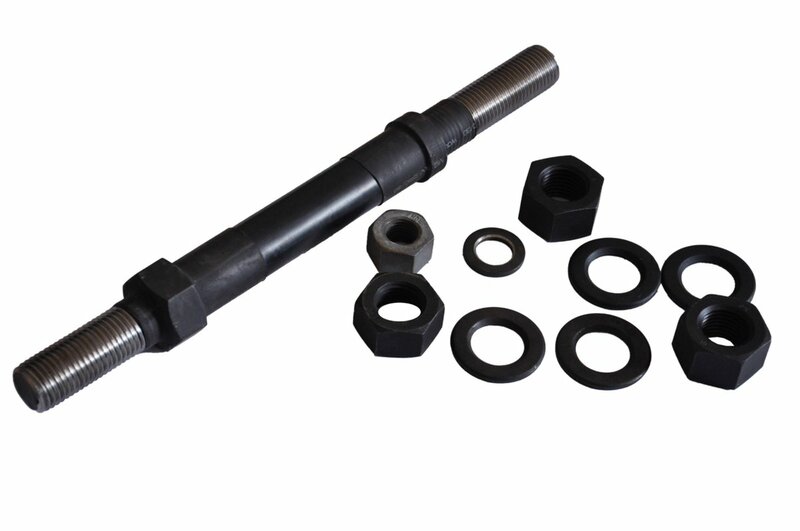 A Rock Bolt is a long anchor bolt, for stabilizing rock excavations, which may be used in tunnels ro rock cuts. It transfer load from the unstable exterior to the confined interior of the rock mass. 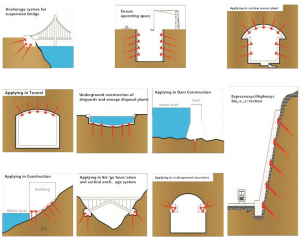 As shown in the figure, rock bolts are almost always installed in a pattern, the design of which depends on the rock quality designation and the type of excavation. Rock bolts are an essential component of the new austrian tunneling method. As with anchor bolts, there are many proprietary rock bolt designs, with either a mechanical or epoxy means of establishing the set. 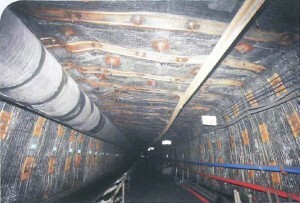 Today, roof bolting is the most common support system used in the collieries as it is more economic than other methods. It saves material and manpower consumption. Most importantly, roof bolting is more effective and efficient because it is an active support method, utilizing the rock to support itself by applying internal reinforcing stresses. 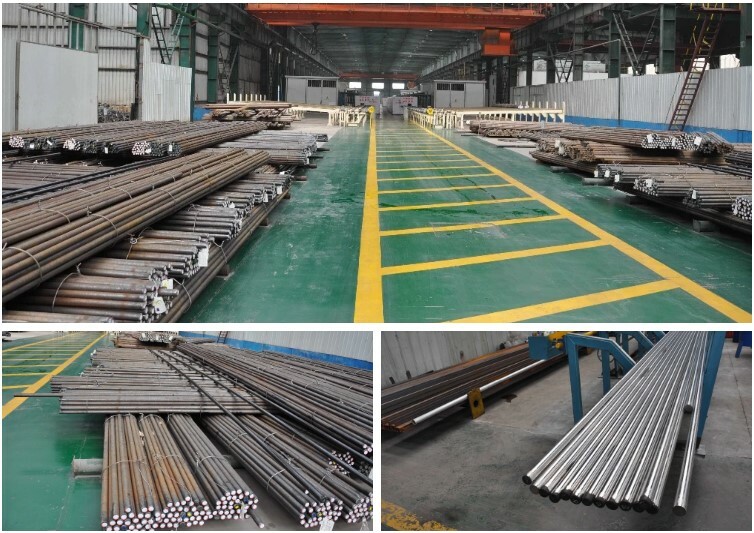 Whats’ more, rock bolt can be satisfactory used to meet a variety of geological conditions and various support requirements. 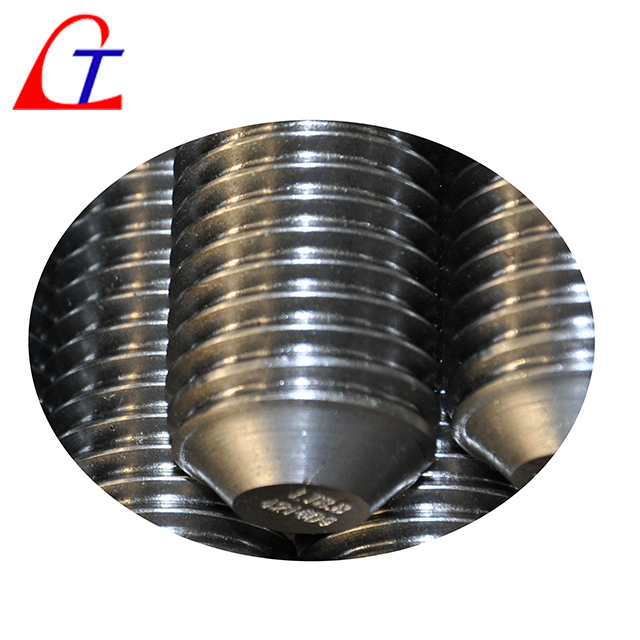 Roof bolts are available in many forms and the methods to attach them to the rock mass are almost as varied.